A very stable lantern with 2 lighting functions - either flashlight or lantern. 3 retractable feet provide extra stability. 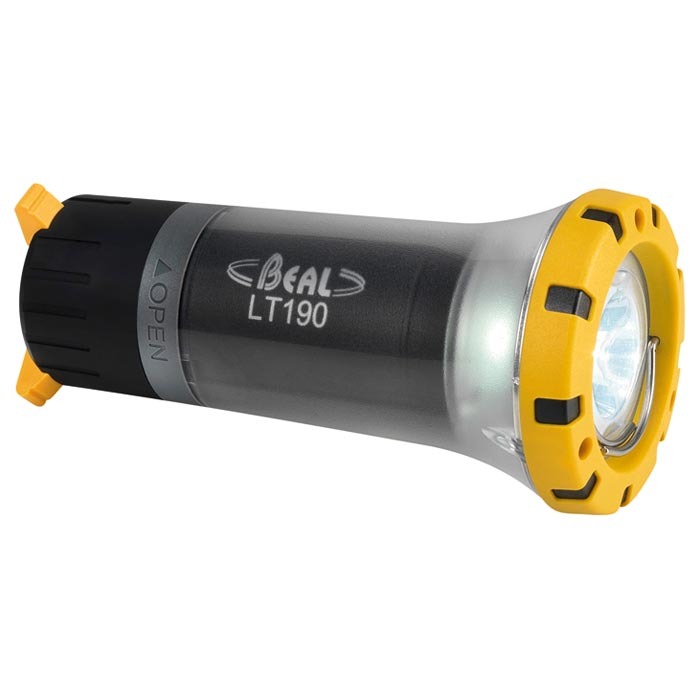 Flashlight position: A powerful LED with additional reflector for a powerful and far reaching beam up to 150 m. Lantern position: In this position a diffuser takes the place of the reflector and allows for 360° peripheral lighting. By holding down the on/off switch you can choose two lighting positions: eco and maximum output. Two hooks to suspend the lantern. Water resistant IPX4 case.